Runnroo will stage its thirteenth leg of Tour de Cebu this weekend. The route covers three towns of Cebu — Tuburan, Tabuelan, and part of San Remigio. The 15-kilometer run, first half, will be on October 29, 2011. The run will start at 3 p.m., from the 90 KM post in Tuburan to the 105 KM post in Tabuelan. We will stay overnight in Tabuelan, Cebu. The second half will be another 15-kilometer run from Tuburan to San Remigio on Sunday morning. Same as last week’s route, the places are quite far from civilization with few sari-sari stores. Bring extra hydration, especially that there are only few automatic tubig machines (ATM) available along the route. Travel light. 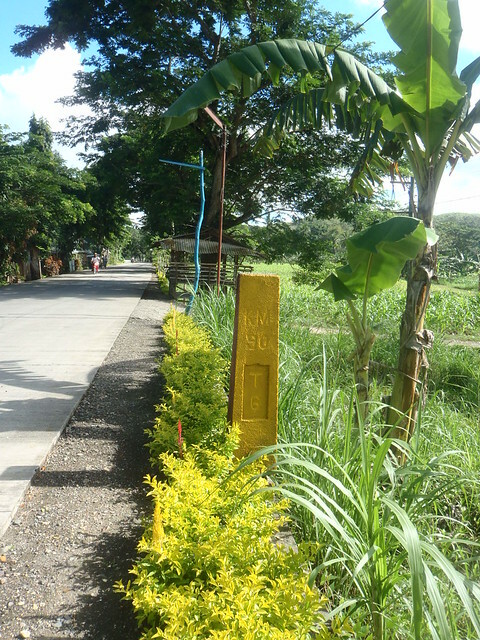 ….. KM 120 Post, somewhere in San Remigio, Cebu ….